In this article, I’ll go over some of the most well-known writers in the world that have some kind of genealogy that can be traced back to Poland. Want to see the first post in this series? Check it out here. 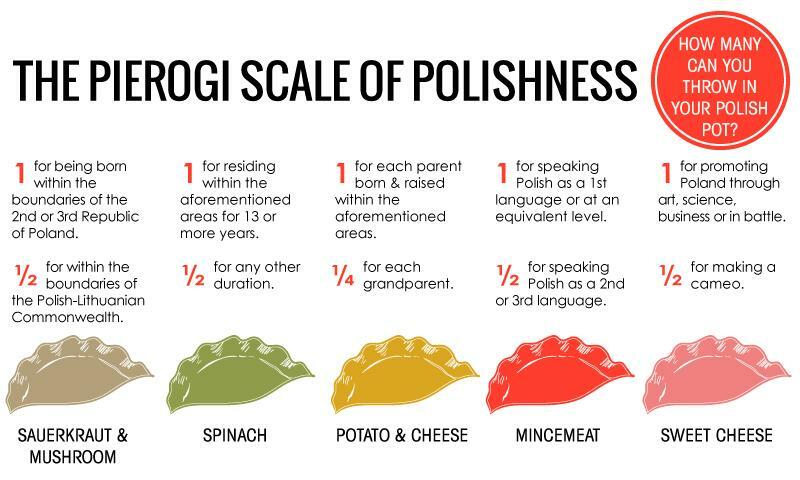 At least 6 ½ pierogi stir in the Singer pot of Polishness. A no-brainer, right? He was born on the banks of the Vistula and raised amongst the tangle of Warsaw’s Mirów district, which we would become to know so well through his wild and mystic tales. He honed his craft at the Warsaw Writers’ Club at Tłomackie 13 and mined Warsaw’s rich tradition of Yiddish theatre for endless inspiration. Every August Warsaw celebrates Singer’s Warsaw Festival. The title of his memoirs sums it up, really: A Day Of Pleasure: Stories of a Boy Growing Up in Warsaw. But bring up the name with your average Jan Kowalski and he might be more inclined to discuss sewing machines with you than the winner of the 1978 Nobel Prize in Literature. 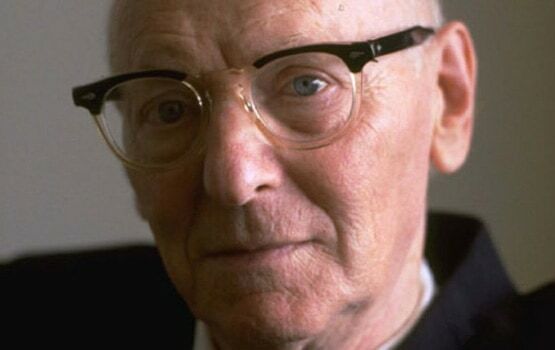 Isaac Bashevis Singer was born Icek Hersz Zynger on 21 November 1902 in the village of Leoncin, twenty kilometres east of Chopin’s birthplace of Żelazowa Wola. His father, Pinkhas Mendel, was the local rabbi and his mother Basheva (the namesake of his pen name) was the daughter of the great Jakub Mordechaj Zylberman, the Rabbi of Biłgoraj. On both sides of the family, he descends from a long line of Polish Hasidim. He and his siblings were the first to break the line and take up more worldly professions. His sister Esther Kreitman and brother Israel Joshua Singer were also celebrated writers. Singer spent the ‘20s and early ‘30s in Warsaw, working as a journalist and a part-time novelist of the Yiddish language. He penned his first book Satan in Goray in Warsaw at Leszno 57. 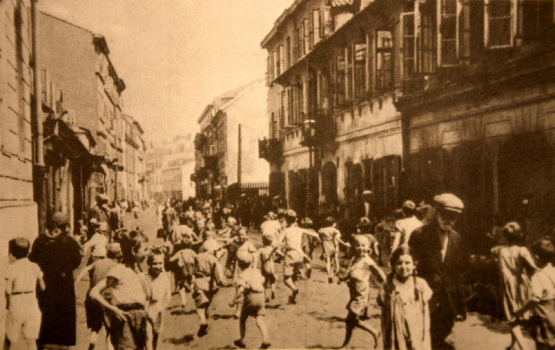 Yet with the advent of Hitler next door in Germany and the embers of anti-Semitism flaring at home, Singer was forced to relinquish his beloved Warsaw and follow his brother to New York City in 1935, leaving behind a wife (the political activist Runia Shapira), a six-year-old son (the future Israeli writer/journalist Israel Zamir) and an address book worth of mistresses. Like Chopin, he would never return to Poland. But Singer never let go. You can take the boy out of Krochmalna Street, as they say, but you can’t take Krochmalna Street out of the boy. Right up until his death in 1991, Singer’s literary imagination remained with the nation of his birth. When he first arrived in New York, he was, by all accounts, struck with melancholia, pining for his friends, lovers and the writers’ club back in Warsaw. That’s perhaps why he first wrote in America under the pen name of Icchok Warszawski. Just about every page of the Singer oeuvre captures the rich diversity of Poland’s history and peoples, Jewish, Catholic, Protestant and everything else in between. By my count, no less than twelve of his fifteen published novels are either set in or revolve around Poland. His Polish catalogue includes the classics of Satan in Goray, The Family Moskat, The Magician of Lublin, The Slave, The Estate and Shosha, just to name a few. You won’t find a better companion to Polish history, from the time of the Polans and the Chmielnicki Uprising to Tsarist Warsaw and Pilsudski’s Second Republic. Thanks to his vivid prose, he has left us a time capsule of a Poland of yesteryear, inviting us to relive every sight, touch, sound and smell that the Germans and the Soviets conspired to deny us. Granted Singer did not write in the Polish language. He held steadfast to his Yiddish, which, must be said, flourished just as much along the Vistula and the Bug as around the Rhine and the Hudson. But like the Mazurka running through Chopin’s compositions, the rhythm and cadences of Poland reverberate throughout Singer’s prose. Besides, this deficiency has not stopped Poland embracing the next candidate on our list. In many ways, Conrad and Singer were two different sides of the same złoty coin. Singer was the exile celebrated abroad but largely unknown in the country of his birth, despite his pleas for reunion recurring throughout his work. Conrad, on the other hand, was and is lauded both in Poland and abroad, though the Nobel always eluded him. Poland came to know and love Conrad in the latter years. His books only began to be published in Polish from 1923. Polska was the biological mother reunited with her son, whose love wasn’t always reciprocated. Meanwhile, Conrad’s adoptive parents, England and France, remain clueless as to where they found him in the first place. 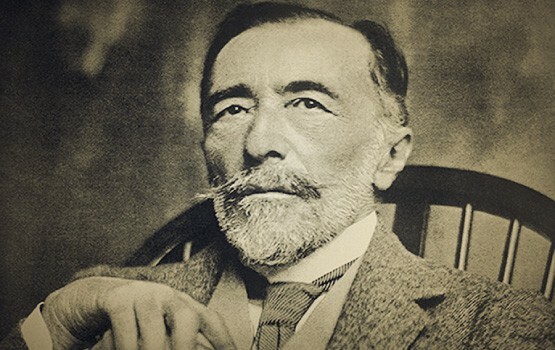 Joe Bloggs in London and Jane Doe in New York might only know Joseph Conrad as an Englishman or perhaps a Frenchman. You can’t blame them. Conrad did not help with the confusion. He arrived in England speaking French and saw out the rest of his days as a man of English letters – a pretty handy one, at that. Apart from some examples of Polglish in his novels, Conrad never published a word in the Polish language. Poland herself scarcely makes an appearance in Conrad’s wild and exotic jaunts. With Conrad at the helm, we’ve ventured up the Congo River in the Heart of Darkness, journeyed to the South Seas in Lord Jim and skirted through the grimy streets of Dickensian London in The Secret Agent. But poor old Ojczyzna hardly gets a look-in. There are only two instances when Conrad makes note of his countrymen. There is the character of Yanko Goorall in the short story Amy Foster. He was the Polish-Ukrainian castaway who washed up into the arms of Ms. Foster, an English servant girl. And of course we can’t forget Prince Roman, the titular character of Conrad’s 1911 short story based on the 19th-century Polish patriot, Prince Roman Sanguszko. But there’s no denying Conrad’s Polish blood nor the blood his family has shed for Poland. In fact, Conrad’s paternal grandfather, Count Teodor Korzeniowski, may well have fought side-by-side with the real Prince Roman in the November 1830 Insurrection. Conrad was born Józef Teodor Konrad Korzeniowski on 3 December 1857 in Berdychiv (in current day Ukraine) to father Apollo and mother Ewa (née Bobrowska). The Korzeniowskis were a proud Polish szlachta family. For generations they had fought the invading Mongols and Ruthenians under the Nałęcz banner. Along with commanding a cavalry squadron in the 1830 uprising, Grandfather Teodor had served under Prince Józef Poniatowski during Napoleon’s ill-fated Russian campaign. 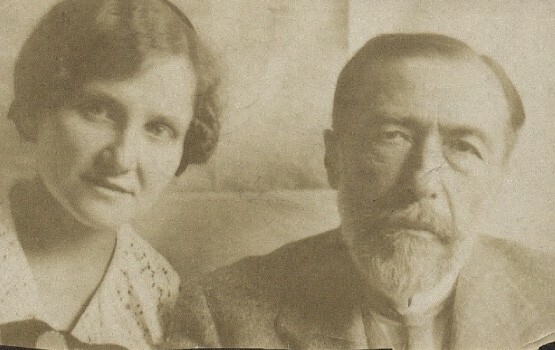 Conrad’s father Apollo, a failed estate owner, also took up the fight against the Tsarist regime when he moved his family to Nowy Świat 47 and joined the ranks of the Red Faction in Warsaw. He was promptly arrested and thrown in the infamous Pavilion X of Warsaw Citadel. Many years later Conrad would lament: ‘In the courtyard of this Citadel – characteristically for our nation – my childhood memories begin.’ And what tragic memories they were. When Conrad was just five years old, the family was exiled to the icy depths of Russia and at the age of eight, he lost his mother to tuberculosis. With a reprieve from the Tsar, Apollo took Conrad to Kraków where he received his first brush with the greats of Mickiewicz and Słowacki. A few months later tragedy hit again when Apollo died and the orphaned Conrad fell into the custody of his maternal uncle, Tadeusz Bobrowski. After a stint at a boarding school in Lwów, the sixteen-year-old Conrad was shipped off to Marseilles, from where he launched into a nineteen-year career in the merchant marine. In between voyages, he settled in England and became a subject of Queen Victoria in 1886. It was only after retiring as a captain would he pick up the pen in earnest and transfer his adventures at sea to the page … in the English language. 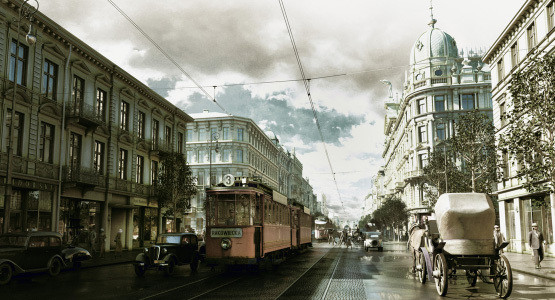 In 1914, forty years after he had left Kraków, Conrad finally set foot back on Polish soil for the first and last time. It was a monumental occasion for a number of reasons. First of all, Conrad and his family arrived in Kraków just in time for the outbreak of WWI. The battle lines pushed the family to Zakopane where Conrad fell into an artistic-bohemian set. There he enjoyed lively discussions with his Polish contemporaries, such as Stefan Żeromski and Tadeusz Nalepiński. Afterwards, back in the safety of Kent, Conrad began to lend his voice and celebrity to the national cause. And finally, it was during his stay at Willa Konstantynówka that he established a bond with his niece, Aniela Zagórska, who would in turn introduce Conrad’s work to Poland in his native tongue. Poland’s prodigal son had finally returned home, if only in word. Our other Nobel Laureate might be a controversial inclusion. After all, it’s not every day that a writer can make Lech Wałęsa and Jarosław Kaczyński agree on the same thing. 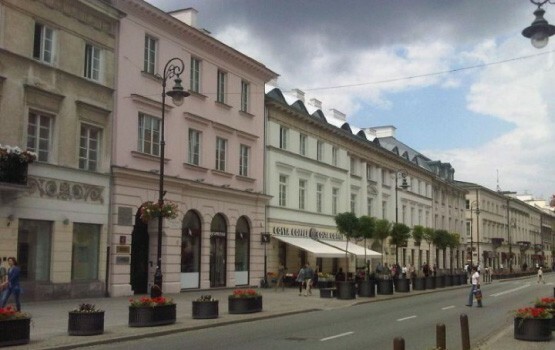 But that’s exactly what Grass did in 2006 when he revealed his Waffen SS past, prompting the two adversaries to agitate for the city of Gdańsk to rescind his honorary citizenship. Like him or not, the metadata does not lie. 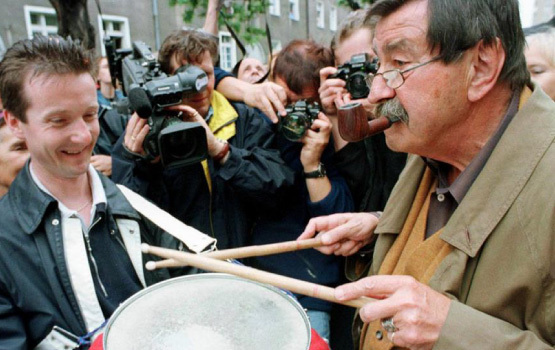 Like his tin-drum-playing enfant terrible, Günter Wilhelm was born on 16 October 1927 in the Free City of Danzig (now Gdańsk) to Wilhelm and Helene Magdalena Grass. In a strange way, Grass’ DNA reflects the binary, if not schizophrenic, history of Gdańsk itself. On one side of town sit the German Lutherans and Protestants represented by Papa Grass; on the other are the Catholic Poles and Kashubians as personified by Mamusia Grass. Helene’s family came from Wilanowo and Rebiechowo – just as Oskar Matzerath’s grandmother and her four skirts did in the Tin Drum. Their names were Wincenty, Elżbieta, Artur Edward, Alfons Maximilian, Brunon Franciszek, Franciszek Józef, Brunon Jerzy and Małgorzata. This Prussian-Polish-Kashubian milkshake spills over into Grass’ body of work. 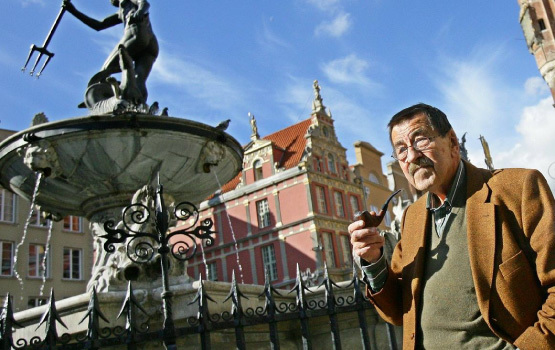 Gdańsk and Pomerania feature heavily in six of his novels. There’s of course the Danzig Trilogy of The Tin Drum, Cat and Mouse and Dog Years that won him the 1999 Nobel Prize in Literature. I dare any Pole to read The Polish Post Office chapter in The Tin Drum and not shed a tear for uncle Jan Bronski and the rest of the Polish martyrs. It turns out that Jan Broński was based on Grass’ own Polish uncle, who was executed by the Germans after the real Defence of the Polish Post Office in Danzig. Grass returned to the Tri-City later in life with The Call of the Toad, Crabwalk and his memoir Peeling the Onion. Interestingly, The Call of the Toad, which was perhaps a late attempt by Grass to reconcile his German and Polish blood, was made into a Polish-German film in 2005. 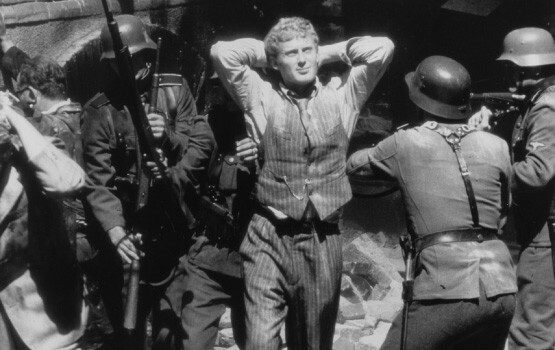 It was directed by Robert Gliński, who is none other than the brother of Poland’s current Minister of Culture and National Heritage, Piotr Gliński. If it’s Polish enough for Gliński, it’s good enough for me. Grass’ work has since helped to introduce Gdańsk to the rest of the world, along with all her beauty, magic and rich history. It was through The Tin Drum that this writer became acquainted with the city and in turn Poland as a whole. Are you still with me? Let’s just take a moment to gather our breath, because the next and last instalment is a doozy. We’ll be getting all glamoured up in the makeup department, poking around the closet of Israeli politics and crossing the Atlantic in search of clues to shed some light on to what could be the biggest mystery of Polish history. But before you go, can you think of any other writers whose Polish roots might not be so well known? I know I could have included Bruno Schulz and I. L. Peretz.